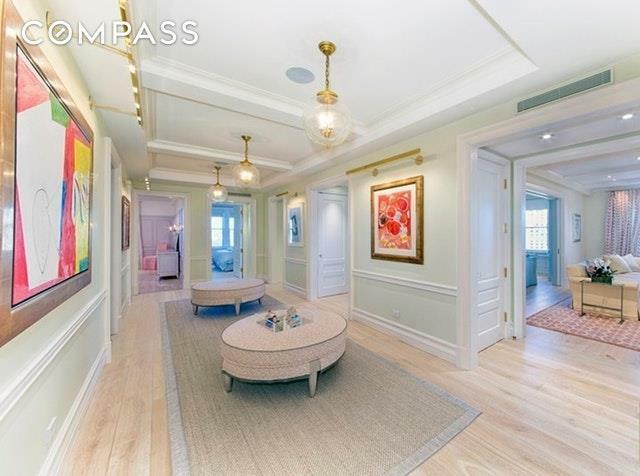 Perfectly located on Park Avenue in Carnegie Hill, this chic triple mint classic 7 apartment is on the 15th floor with views of Central Park and the Reservoir. The home was meticulously designed and hand-crafted, maintaining prewar integrity while featuring every modern convenience. The impressive mill work, windowed chef's eat-in kitchen, perfectly proportioned rooms, 9'7" beamed ceilings, 3 new Bathrooms all with great views and heated floors, gorgeous reclaimed white washed oak floors throughout, multi-zone Central AC, sound proof windows and state of the art sound system all create the perfect complement to the bustle of Manhattan. 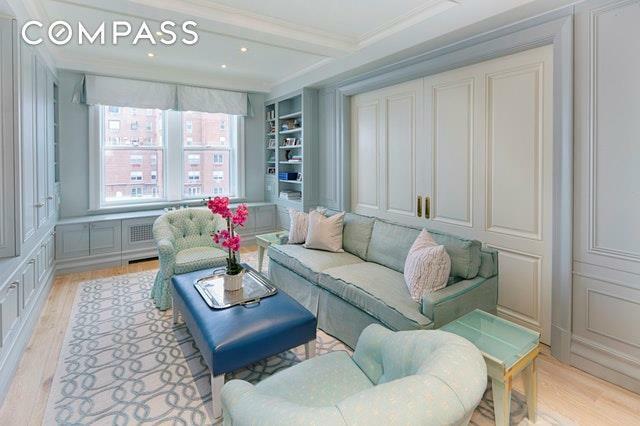 Rarely found on Park Avenue, this is a residence where every room has an amazing view. 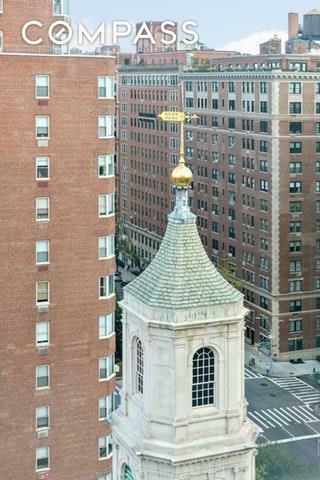 Perched on the top floor, rooms overlook Central Park, the Reservoir, iconic buildings on the West Side and the historic Brick Church steeple. The Living Room has a WBF and two large windows that face north and west. The current Library was originally the third Bedroom; it can easily be converted back. The corner Master Bedroom frames the views of Central Park and the City; it has a large walk in closet and an en-suite bath with a double sink. Located in the midst of a charming neighborhood that is home to some of Manhattan's significant cultural institutions. "1130" is a very short walk to our illustrious Central Park. The Co-op is pet friendly, has a new Gym, transfers with Private Storage, has a 2% Flip Tax payable by the purchaser, and permits 50% financing. This is your opportunity to experience exquisite views and sunshine all day long from a triple mint residence. 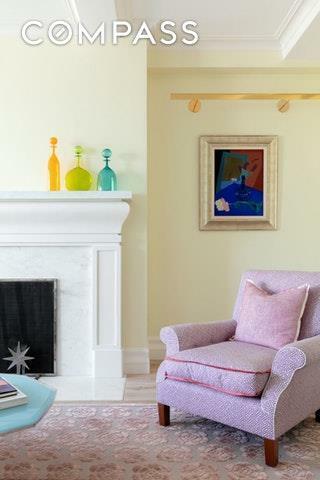 Listing courtesy of Suzanne Bakst of Compass.